Since scientists first read the human genome in 2001, it has been subject to all sorts of claims, counterclaims and myths. Drawing together the latest discoveries in this rapidly changing area of science, Adam Rutherford shows that in fact our genomes should be read not like instruction manuals but more like epic poems. Genes determine less than we have been led to believe about us as individuals but vastly more about us as a species. 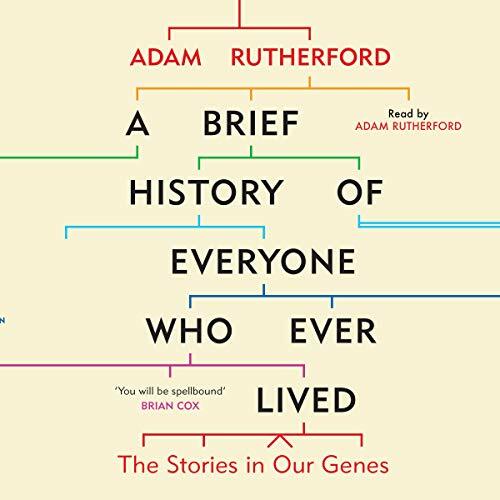 In this captivating journey through the expanding landscape of genetics, written with great clarity and wit, Adam Rutherford reveals what our genes now tell us about human history and what history tells us about our genes. 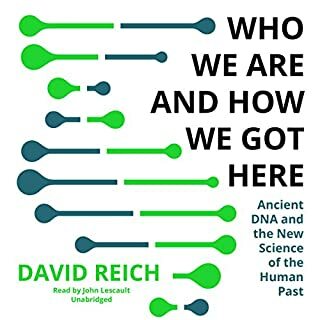 From Neanderthal discoveries to microbiology, from redheads to dead royals, criminology to race relations, evolution to epigenetics, A Brief History of Everyone Who Ever Lived is a demystifying and illuminating new portrait of who we are and how we came to be. Written and read by acclaimed science writer and broadcaster Adam Rutherford. lots of varied and interesting topics on genes and evolution. it's always great to have the author narrate their own book. Adam Rutherford has a friendly manner and manages to draw a narrative from the very complex and somewhat still mysterious subject of genetics that is engaging and thoughtful and approachable for a layperson (like me) to wrap (most of) my science avoiding head around. What does Adam Rutherford bring to the story that you wouldn’t experience if you had only read the book? he has a nice voice and I didn't have to read it myself! Adam provides an easy to listen to explanation of genes, their myths and what they can actually tell us. 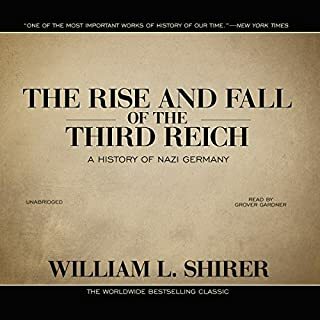 The book and narration held my attention from beginning to end. The presentation of some very complex scientific facts was perfectly articulated. 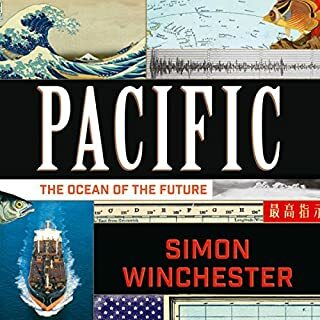 This was an utterly fascinating read (or listen? I don’t know, does one ‘read’ audiobooks?). 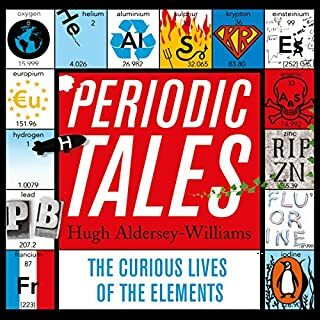 The author is a fabulous science communicator who portrays the complexities of genetics with relative simplicity and a great deal of humour. He’s got a great accent too. 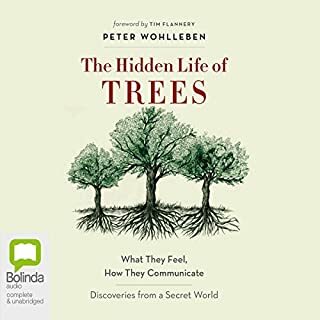 Fascinating enough to buy and filled with interesting information which will help us to understand our close relationship with everyone and everything. A bit laboured and repetitive at times and given to occasional, unnecessary atheist pronouncements. 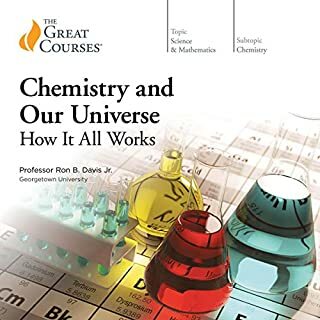 I’m always looking for good popular science books, and this one certainly fits the bill. It tells the story of the human genome starting with early humans (e.g. homo erectus, Neanderthals, Denisovans and us, Homo sapiens) and then moves on to look at a whole suite of topics relevant to genetics. Examples of this would be: genes for red hair, blue eyes and the ability to smell certain substances; a close look at the genetics of different races; the effects of inbreeding; the evolution in some human populations of the ability to drink milk into adulthood; the human genome project; epigenetics, and the future evolution of humanity. 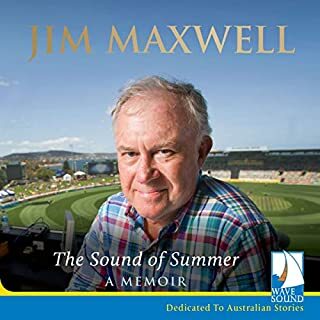 This book was so good that I didn’t want to miss a thing, and so I slowed it down to 0.8 narration speed – and even then I rewound the tape a few times to re-listen to some sections if I’d been a bit distracted first time around. But may be a little bit too shallow? I would have preferred an even deeper dive into the ongoing science in this field. answered many of my questions after I got my genome studied and explored other thought-provoking questions I would not have dared ask. 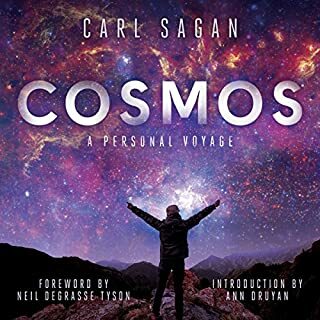 I enjoyed it and would recommend it to anyone with some curiosity on their and everyone's path as human beings.. which I guess should all of us! 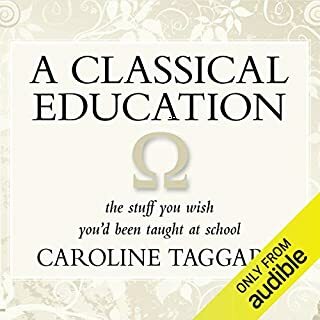 A fascinating, exciting and wonderfully narrated treatise ( in a way) that reads like a novel. 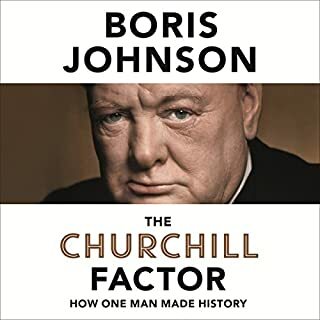 It's absolutely brilliant and the topic is of current interest- a book for our times! The Exquisite story, of us. 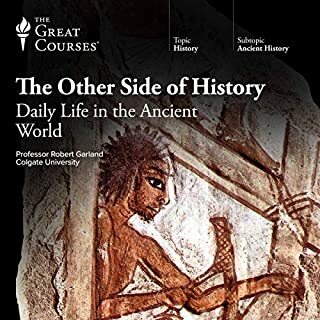 The human story is a truly fascinating one, and, as the evidence of our biological past continues to be revealed by the advances of science, peppered with the occasional 'lucky' find that are themselves a product of a plethora of painstaking investigation and research by a multitude of people. 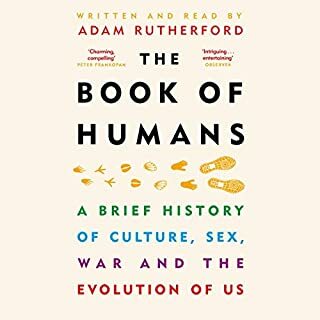 In this book, Adam Rutherford brings these facts together into a coherent, well written, well presented narrative that explains our biological story, in a field of study that changes our understanding rapidly, often unexpectedly, such is the intensity of the ongoing research in this field. 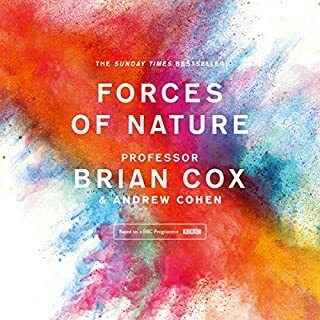 I'm not normally a fan of audio books, but for me, Adam Rutherford's wonderful voice takes this masterpiece, to another level. I enjoy a lot of science, (mostly physics), and have read Adam Rutherford's previous book "Creation", which I enjoyed very much, but I think his "difficult second album", does surpass the first. 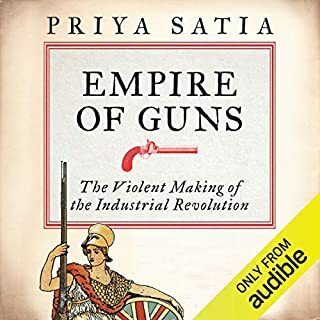 This is now one of my favourite audiobooks . Everything from early man to the black death, Richard the 3rd project and The dangers of inbreeding big chinned royalty, literally there's something about everything ! 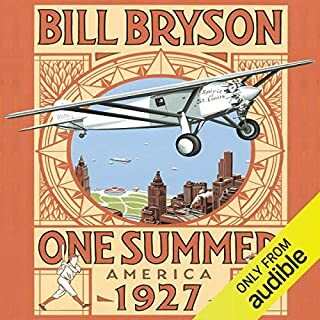 The Narration is spot on and the content is interesting, sometime very funny ( in the right ways) and really does get you thinking . Adam talks hard science like you would talk about odd things with your friends down the pub or like you favourite teacher might . Some intense subjects, but because they are so well written and read it's always fun and never overbearing . A person could enjoy this without Having to be genius . A very very good job. You now have a painter and decorator that has a fairly good grasp on genetics. What a fantastic world we have ! 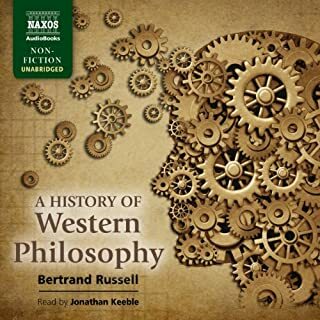 Just about as perfect an audiobook as any thinking human being (and by definition that excludes creationists) could hope to read / listen to. loved it. Had some great factoids, entertaining stories related to genes, history, Darwin etc. This is such a great book. I have a science degree but genetics isn't my strong suit and I found this book to be pleasantly easy to follow and learnt a great deal. Recommended it to everyone I know! fully inclusive summary of science told from an objective point of view. illuminating stories, metaphors and examples. excellent. A fascinating history of genetics that delves into the genetics of history. Full of big ideas, rendered comprehensible by a gifted science communicator, and it beautifully slays so many tabloid myths about our genes. 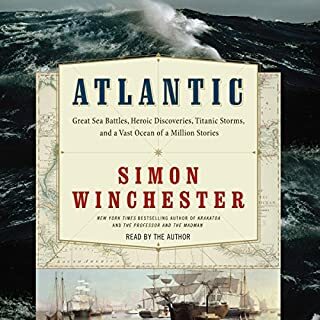 Adam Rutherford is an excellent narrator. easy to listen to and follow. thoroughly enjoyed this book. 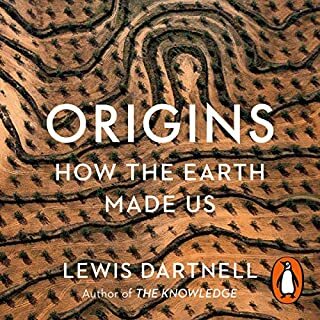 highly recommend for everyone interested in genetics or human history.